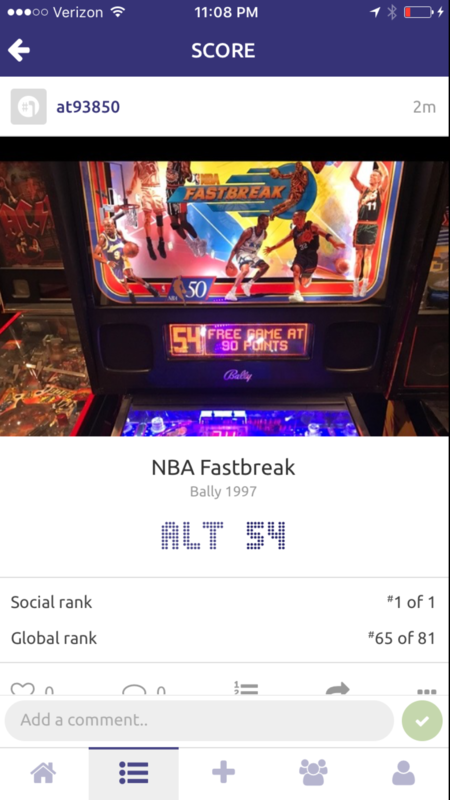 One of the problems with pinball machines is that the technology that drives them is largely derived from 80’s and 90’s, meaning that things like internet access just aren’t a thing in pinball. Comparing scores is difficult as a result, and in home use it’s unlikely that a guest would ever have a chance to put up a top 5 score on that machine. 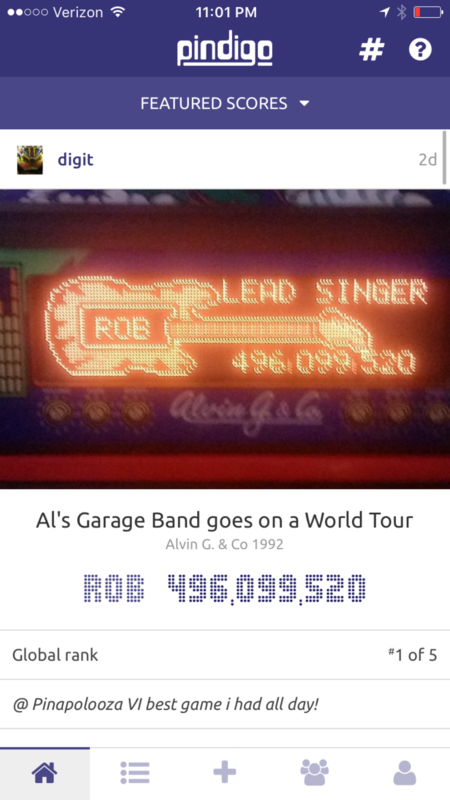 Enter Pindigo, the pinball high score app. I’m very impressed with the functionality of the app and how well it all works together. The author obviously spent a lot of time testing and perfecting everything. One cool thing that the app also features is a ‘friends’ list. Here is where you can compete against your friends without having to compete against everyone in the world, which can be a little too much to take on. Unfortunately, I didn’t have any friends using the app currently to test out this feature. So how much does this awesome app cost? Amazingly, it’s free. A labor of love by Michael Szabo and Brendan Turner, it was built purely to help out fellow pinheads. I’m really impressed with all the worked they’ve done on it, they should be proud of their efforts.